Insight activities are 100% mobile and have over 15yrs experience in delivering quality mobile activities for a wide range of events. 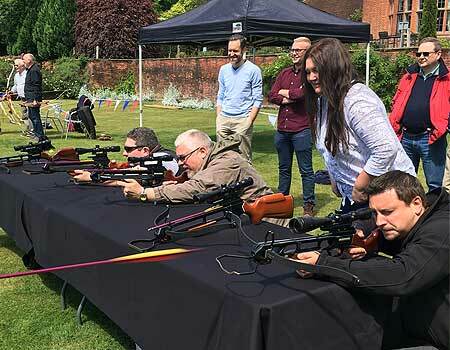 We can supply mobile shooting ranges for corporate events, private birthday parties, weddings or just about any occasion you can think of! 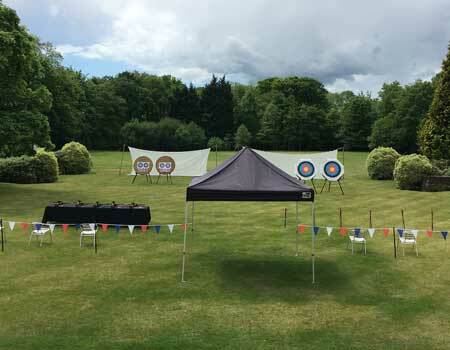 We can provide archery ranges at any suitable venue of your choice, uk wide. Expect a full range of professional quality bows, 2 – 4 large targets, marquee, bunting. Up to 12 people shooting at a time. Our crossbow shooting range can also be provided on a mobile basis. Up to 6 crossbows running at a time with large targets…or even Zombies! 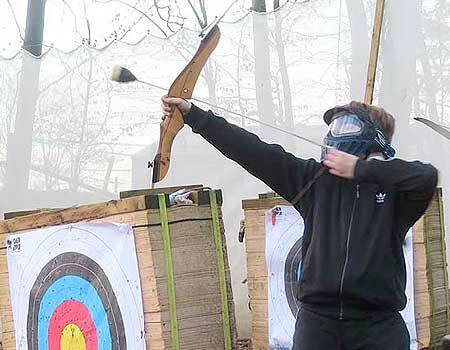 Crossbows can be delivered alongside our archery or axe throwing ranges. Axe throwing is a challenging and extremely rewarding sport. If you fancy something more medieval then book our unique, custom designed axes. 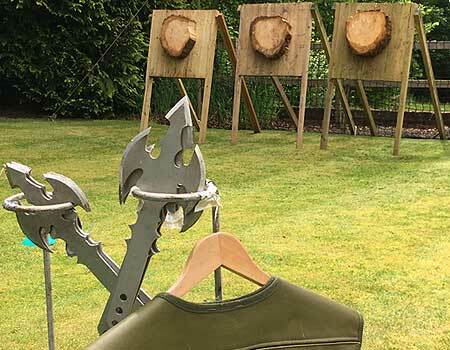 Our axe throwing range can be provided at any suitable venue of your choice. Up to 6 x targets, competitive, fun and safe! 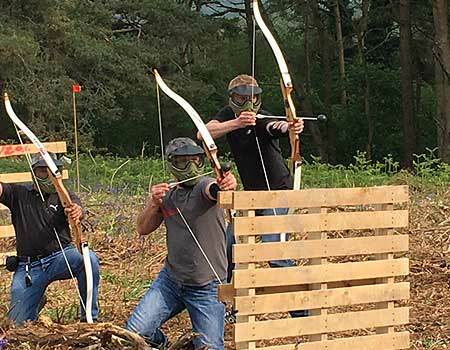 Archery Combat tag is a new and exciting team based combat sport using traditional full power bows and specifically designed ‘tagging’ arrows, essentially archery paintball except less mess and pain. We can provide Archery Combat Tag UK wide. Your friends / colleagues will become the moving targets. 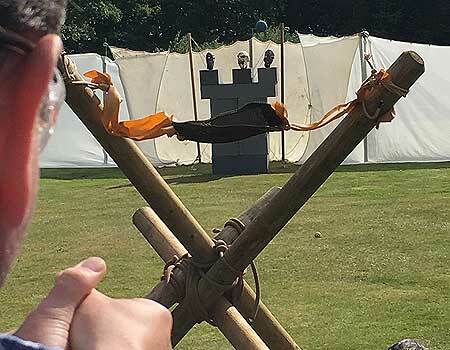 The aim of the session is for the group, or sub-groups to build their own giant ‘balista catapult’ with the purpose of shooting projectiles at a ‘Castle’ themed target. Competitive activity, points awarded for hitting the castle, knocking it over and for shooting the Zombie heads from the turrets! 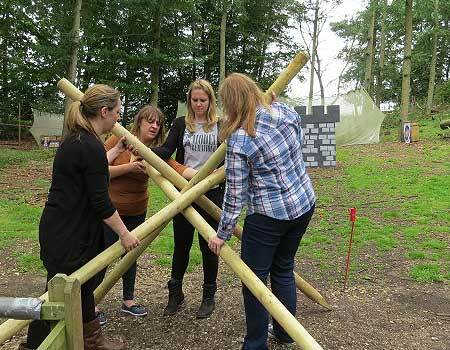 We can also provide a number of initiative and creative team tasks to assist with team development. These tasks are engaging and fun and will be managed by an experienced outdoor facilitator. Learning can be reviewed and related to the workplace.